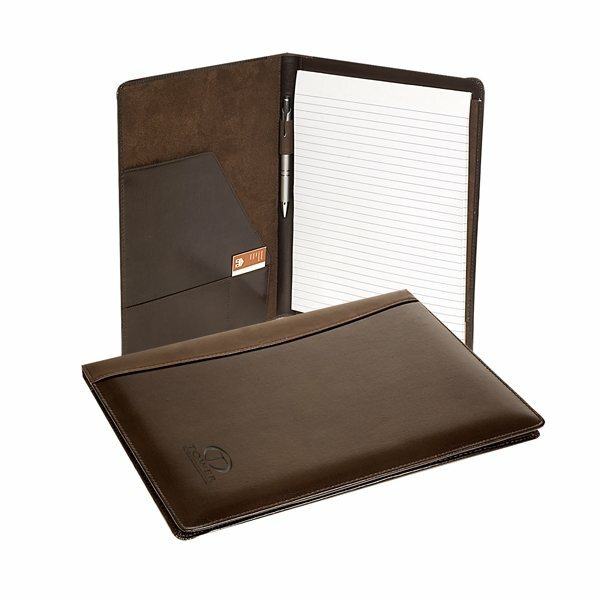 Glazed cowhide leather portfolio accented with a calfskin spine. 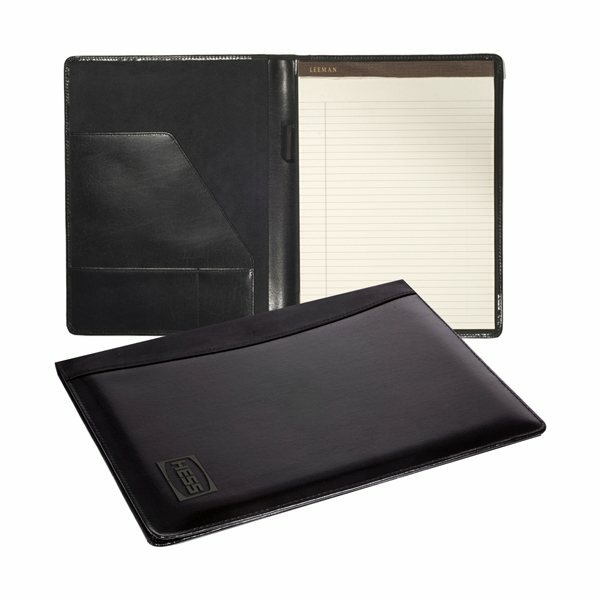 Comes complete with ruled 8.5" x 11" writing pad with approx. 40 sheets. 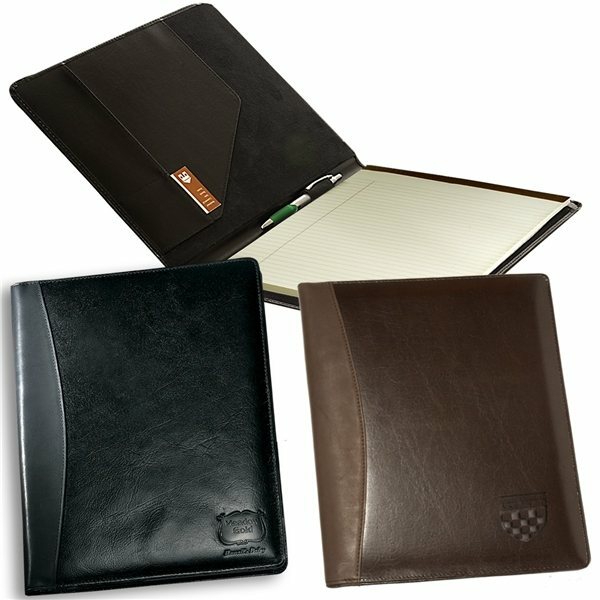 Three inner pockets for documents and business cards, and elastic pen loop. Employees have responded in an exceedingly favorable manner. the product is superior in quality and craftmanship. It has a very understated elegance and is very durable. the product was exactly like we wanted. I work 2 jobs and try to fit working out in my schedule as well. Very good buy. Nice looking, useful, and a bit of elegance. It all worked out fine. Very attractive and simple to use. Great Product! Makes a great gift for students! Service at AnyPromo is exceptional!